It may, indeed, be hovering, but unless I’m paying attention and willing to do the work required to have the life I want, what’s for me will go by me. I think often about Malcolm Gladwell’s juicy book, Outliers, in which he asserts that to become good at something we need to put in at least 10,000 hours developing our skill or craft. Whether it’s playing the saxophone, writing, painting, or playing tennis, we’re not going to be become proficient—we’re not going to develop our full talent—unless we put in the hours. The idea of spending 10,000 hours ballet dancing, playing golf, or studying macroeconomics holds no appeal, but the idea of spending 10,000 hours focused on kindness, or 10,000 hours writing, describes the life I want to have. I’ve still got a long ways to go with kindness, but I suspect I’m well into my second or even third 10K hours of writing, and hope I’ll have time to double or triple that number before I shuffle off this mortal coil. Of course 10,000 hours of effort offers no guarantee that we will become experts or superstars in our chosen field, but Gladwell’s assertion is that without that investment of time and practice, it’s a pretty safe bet we won’t. 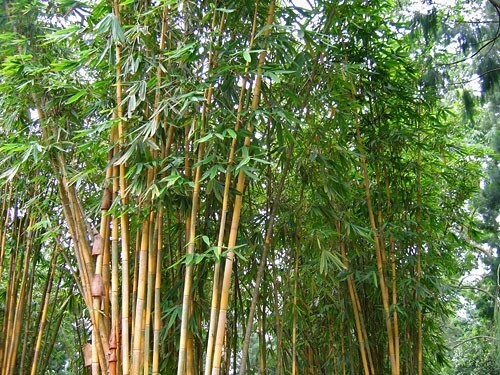 Another way of looking at the cultivation of our talent is to liken it to the growth of giant bamboo. It generally takes three or more years before the bamboo seed sprouts through the surface of the soil. But once it has, it may grow 80 feet in just six weeks. As long as we water it, the bamboo seed will eventually grow. Likewise, as long as we continue to nurture our abilities, proficiency will come. “What’s for you won’t go by you” implies a passivity I reject. It’s planting the seed without watering the soil. I need to be alert so I can recognize opportunity; I need to be thoroughly prepared and able to handle all the effort and responsibility required. I also need to be able to seize and hold the opportunity, and then subsequently nurture it into full fruition. As long as you nurture and cherish it. This entry was posted in Kindness, Success and tagged Bamboo, Kindness, Malcolm Gladwell, Outliers, Patience, Persistence, Success, Writing by Donna Cameron. Bookmark the permalink. Great post! “What’s for you won’t go by you.” I love thinking about this phrase! I’m glad you like it. The more I think about that simple phrase, the more nuances I find. Thanks so much for reading and commenting! I had never heard of that saying. Like so many simple sayings, there’s usually a “but” or an “as long as” or another caveat that needs to be added. It’s hard to reach for our dreams while being passive. Hearing it for the first time in a lovely Scottish lilt made quite an impression on me. Perhaps that’s why it stayed with me. Yes, achievement and passivity don’t compute. Thanks, Janis! Lovely post, Donna. It resonates with me as I continue to procrastinate, reminding me to put in the hours – even minutes would be a start! Hi, Carol, so good to hear from you. I suspect we all have a lot more than 10K hours invested in procrastinating…that’s why we’re so good at it. Maybe we need to revive the Cozy Campers into an accountability group. We were doing all right for a while there. Hope all is well with you. It is a pleasant thought to hold, that there is a Plan and the Planner will bring into your proximity what you need to accomplish Their Plan. And I can believe that it was a Scottish aphorism which expressed this, as they are (by and large) a devoutly religious people. I fear that it is a form of magical thinking, though. Alas, even with the role of work and preparation in the mix, I have to add a big caveat that actions taken by other people and other circumstances beyond your control may greatly lessen the odds that you will be ready, willing, and able to seize the opportunity presented or even to do the work required to make use of it once you have seized it. Luck, privilege, circumstances of class and race and gender and culture — these all play a role. If life were all about the Planner delivering opportunities to us and our hard work resulting in those opportunities coming to fruition, coal miners would be wealthy, mothers would only work outside the home if they chose to do so, and there would be far fewer poor people around the world (as most of these people, here or in foreign lands, work very hard). If this article is about each of us bettering our own life by being aware of the opportunities and choices that are around us and by putting in the work needed to take advantage of them, I am in full support of that. My concern is how easily some people slip from self-improvement over to judging others for their situations, especially when doing so is far from kind. I trust that was not where you expected or intended this your line of thought to go, that you meant this to fit into the kindness side of the equation. Tim, I’m so sorry! For some reason, this very thoughtful comment that you made back on October 18(!) was relegated to the “suspected spam” folder, and I only just saw it. I’m so sorry I haven’t responded. Yes, indeed, my point was that we need to pay attention to potential opportunities and put in the work needed so that we are fully prepared when we recognize opportunity. I see the danger you noted of self-improvement morphing to self-righteousness. I figure each of us has enough on our plates just trying to live the life we envision for ourselves . . . we need to refrain from judging others or trying to tell them what they should be doing. I really appreciate the time you took to write such a thoughtful comment. Don’t know why the WordPress algorithms decided you belong with the Russian spammers and the promoters who are trying to sell their wares. P.S. – Best of luck with your nonfiction writing commitment this month. I admire your energy and ambition! Thanks, Donna. I was afraid that I had stepped on your toes after my comment went ignored. I’m glad that was not the case. Oh, dear, role model is a scary thought! I fear I wouldn’t survive closer scrutiny. I get so much from this community of bloggers—including yourself. WordPress is oozing with great role models, both for their excellent and thought-provoking posts and for the dignity with which they bear their burdens. Hi Donna, I just discovered your blog and really relate to the spirit behind it. I’m a new follower. I was a writer for children for thirty years. At this time in my life, I’m transitioning and writing for adults. My blog is my new voice. I soooo relate to the creative process you described in your post. Thank you. So good to meet you. Thanks for your kind comments and for following YOLK. I’m looking forward to getting to know you through your blog, as well. I thoroughly enjoyed this piece Donna. I also believe what is for you, is for you; But at the same time we can’t sit around waiting for it to fall on our laps. We do need to consistently work towards what we want. I once heard.. Luck is when preparation meets opportunity.. I believe in that. Thanks so much, Candace. You’re so right–passivity and hope aren’t very effective strategies, we need to also act! You may not be Clapton, but rubbish? Not likely….